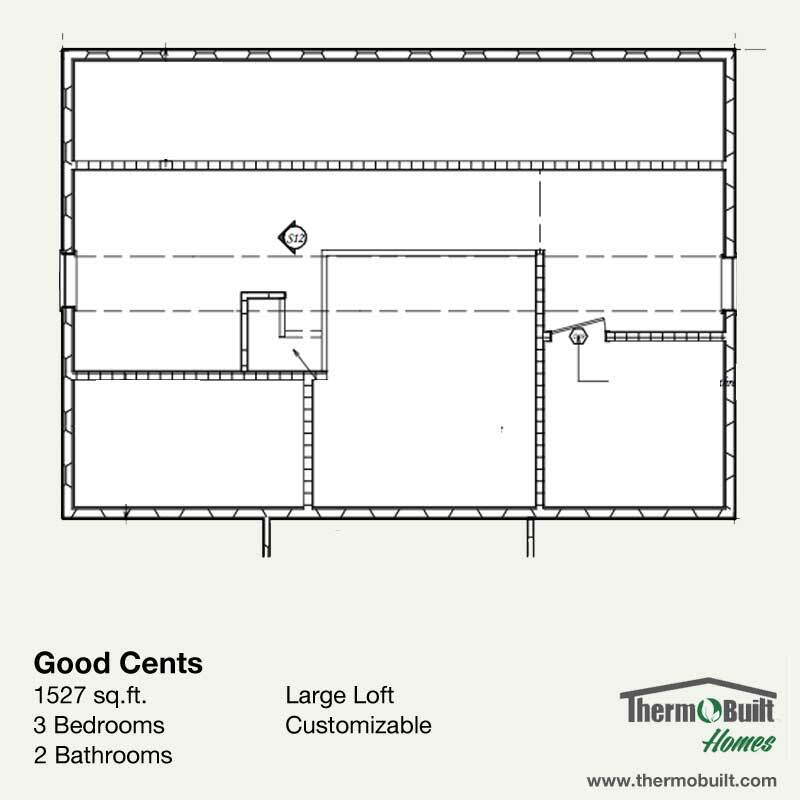 Plan_GoodCents_with_loft – ThermoBuilt Systems Inc.
Good Cents Loft - 1527 Sq.Ft. 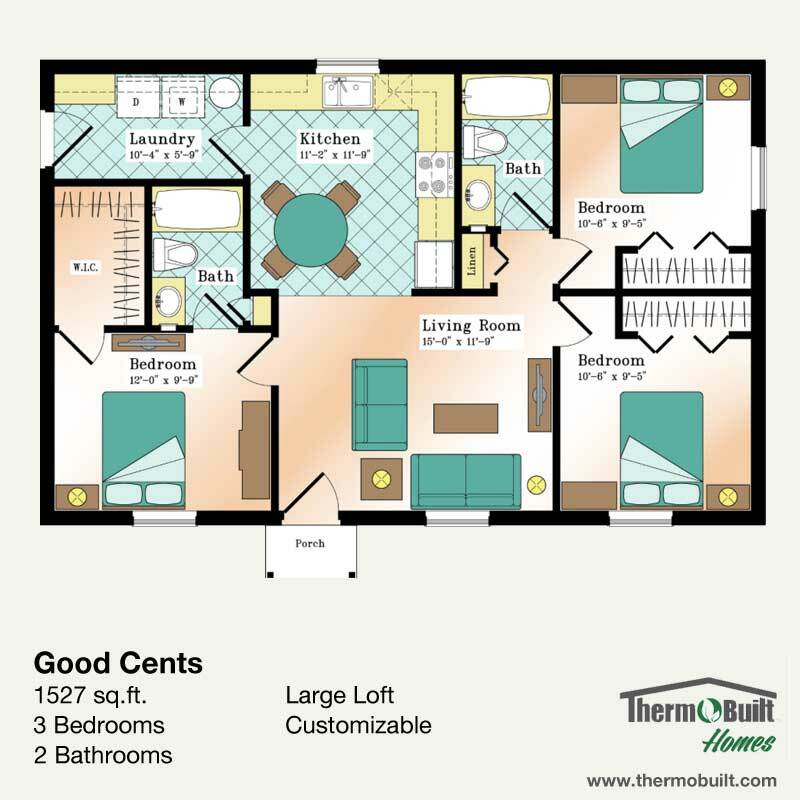 The Good Cents w/ Loft plan is a 1,527 square feet, three bedroom and two full bath plan well suited for a variety of needs. The addition of a Flex Space that can be used as a gathering area, extra bedroom(s), or office space is a great feature of this plan. This plan is also designed without the addition of a Loft. The eat-in kitchen anchors the common area, and is right off of your Entry and Family rooms. A Laundry room off of the Kitchen area is large, and can accommodate plenty of incoming traffic. The large Great Room and open Dining Room anchor your remaining living areas. The Master bedroom features a walk-in closet and an En-Suite with Linen Closet. Two additional, equally sized bedrooms and a full Guest bath complete this plan. LINK: The version without the Loft is 1,009 square feet with a lower pitch roof line. Roof Design Options: Simple Gable 9:12 Included. Available Loft: Available with Loft. Click here for Non-Loft Plan.